1.Don't plagiarize the content of your review from else where. Story revolves around the life of jagga and his 3 cases. One in which his father is said dead but he believes he's alive and goes all out in search for him.. Direction is one of the best this year. All the scenes of Africa seems so realistic that you can feel it. Thanks Kabir.. I hope that smile is not a sarcastic one.. tho you use it always..
Jagga Jasoos is Indian version of Indiana Jones. Superb film. Cinematography direction acting all did very good job. Movie is Entertaining in its own way but could have trimmed little bit as it's too long 3 hrs. Last 40 mins were superb as it had chasing and actions. Very different film. Ranbir did very good acting in First half while second half was more of actions only. Katrina also did good role but she was cute sweet etc. Overall my rating will be 4/5,,,8/10. Do watch it atleast Once, it's family entertainer but mostly for Multiplex audience. 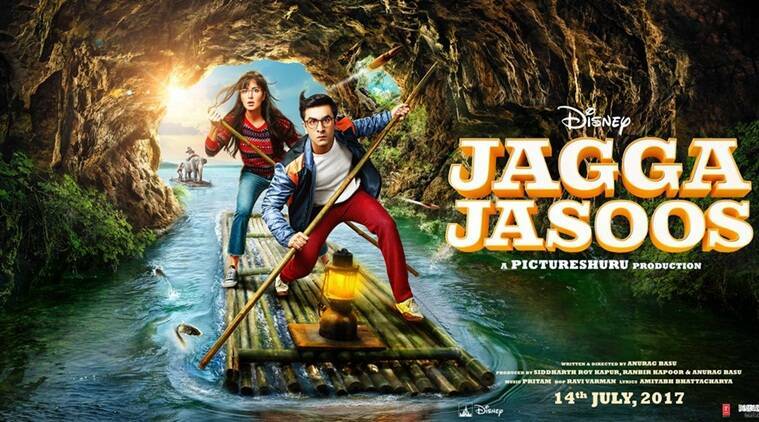 Disney and Pictureshuru Production's Jagga Jasoos directed by Anurag Basu is set to release on 14th July 2017.